Work on the Deep Purple photo book from noted Melody Maker photographer Barry Plummer‘s archive is going well and pre-orders will be announced shortly. 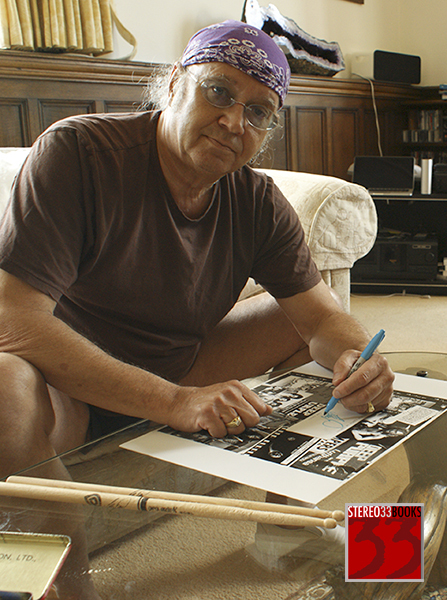 We can also announce that there will be a further very limited edition of the book as well, signed by Ian Paice. Jon at ST33Books was hoping to secure an interview with Ian for his radio show, in the course of which he mentioned the book, and the idea of having him sign some copies came about. Ian was up for this and the signing was done at his house during a short break while he was getting packed for Deep Purple’s American tour the following day. At Ian’s request ST33Books are donating the fee to the Sunflower Jam charity which is run by his wife Jackie. We showed Ian some advance print-outs of a few pages and he liked the look of it, particularly the shot below. Taken at the Rainbow Theatre in 1973, it is one of those great concert images which capture the moment. Meanwhile our designer has been hard at work and more spreads from the book will appear very soon. This entry was posted in Barry Plummer, Ian Paice, Photographers and tagged Barry Plummer, Deep Purple, Ian Paice, signed edition, Stereo33Books. Bookmark the permalink. 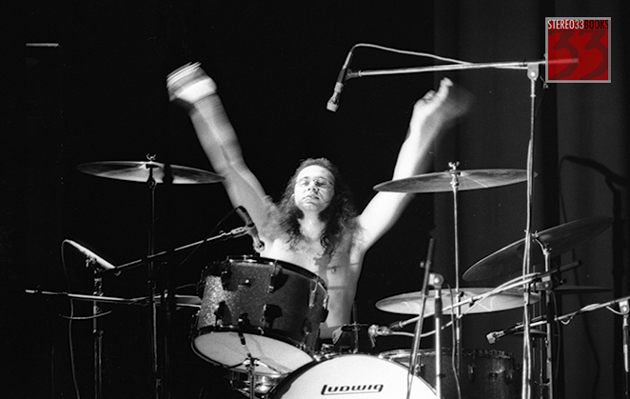 Ian Paice…one of the greatest drummers in rock/metal….no argument or debating this FACT ! Ian Paice on the drums, yes!